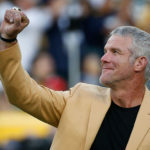 The Green Bay Packers offense and quarterback Aaron Rodgers still aren’t firing on all cylinders, but they put together enough of a game, with the help of their defense, to defeat Eli Manning and the New York Giants. 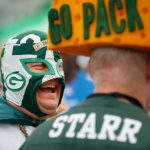 The Packers defeated the Giants 23-16 at Lambeau Field in Green Bay Wisconsin to go 3-1 on the season after their early bye week. My favorite shot of the day would be a toss up between a Clay Matthews sack celebration and when a squirrel ran out on to the field. Not sure what that says. Here are my favorite photos from the day. 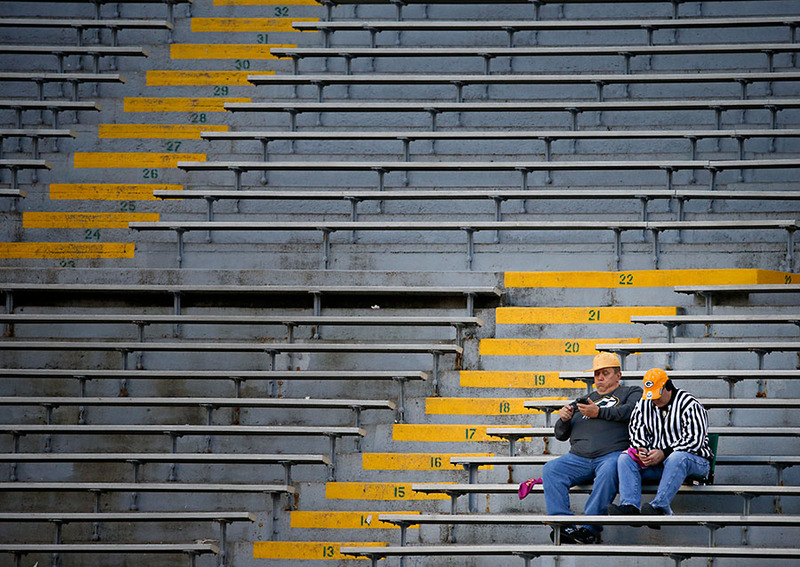 A couple early arrivals for the game try to figure out if they will be able to watch the presidential debate on their smart phones during the game. 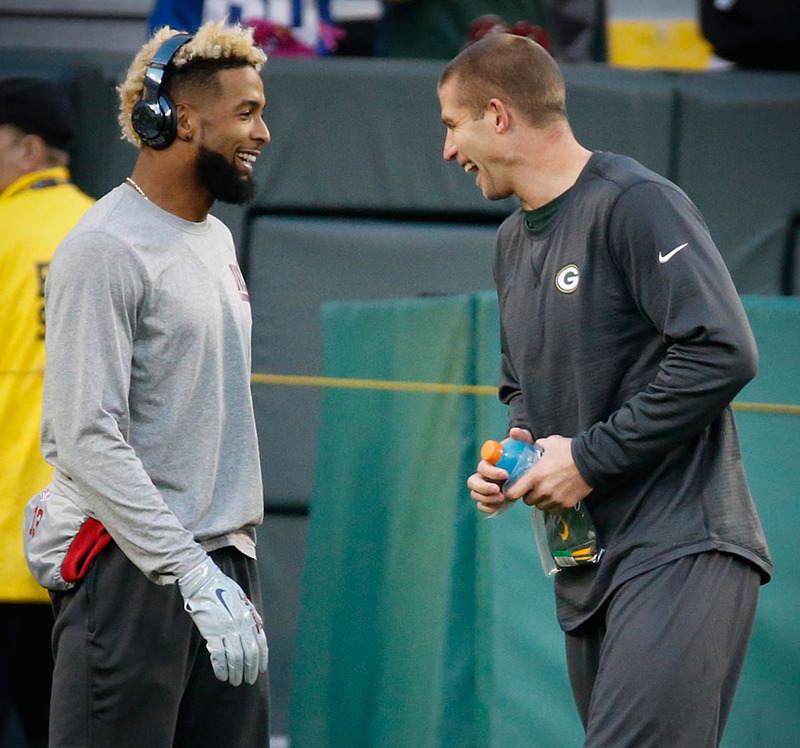 New York Giants wide receiver Odell Beckham and Green Bay Packers wide receiver Jordy Nelson share a laugh before the game. 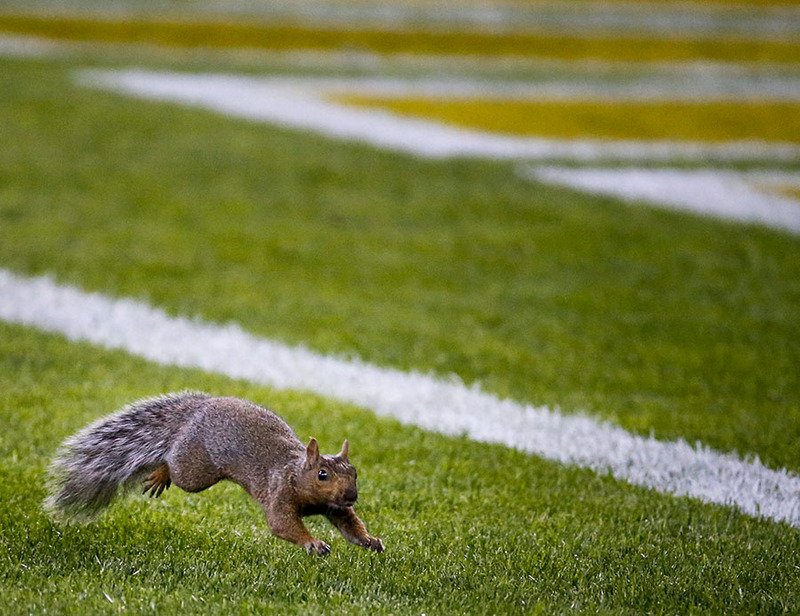 A squirrel can’t quite find the end zone before the game. 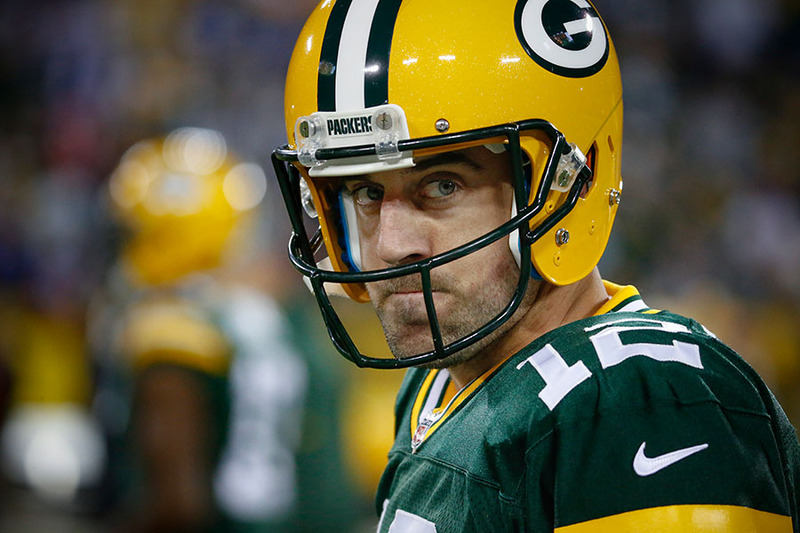 I try not to take it personal when Green Bay Packers quarterback Aaron Rodgers shoots me one of these looks. 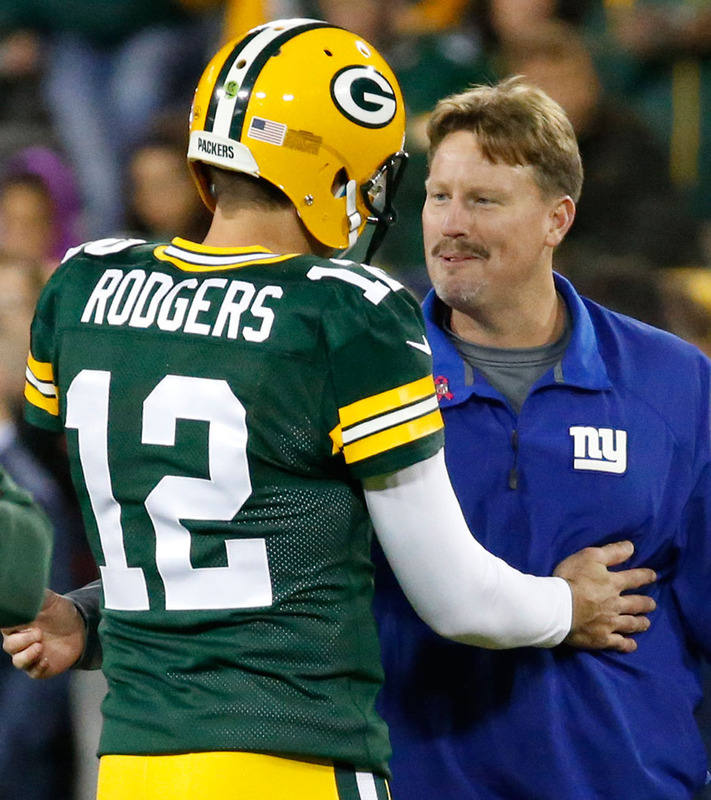 Green Bay Packers quarterback Aaron Rodgers and New York Giants head coach Ben McAdoo talk before the game. Green Bay Packers wide receiver Jordy Nelson and quarterback Aaron Rodgers do their pre game ball spinning ritual. Green Bay Packers outside linebacker Clay Matthews during player introductions. 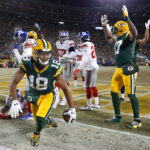 Green Bay Packers wide receiver Randall Cobb tries to get away for the New York Giants defense. Green Bay Packers quarterback Aaron Rodgers signals a first down after running for the gain. Green Bay Packers head coach Mike McCarthy celebrates a touchdown with wide receiver Randall Cobb. New York Giants quarterback Eli Manning looks for a receiver. Green Bay Packers wide receiver Randall Cobb celebrates a touchdown with tackle David Bakhtiari, but the play got called back due to a penalty. Green Bay Packers wide receiver Jordy Nelson watches as New York Giants cornerback Janoris Jenkins intercepts a pass. Green Bay Packers strong safety Micah Hyde breaks up a pass intended for New York Giants wide receiver Sterling Shepard. New York Giants quarterback Eli Manning fumbles the ball as Green Bay Packers nose tackle Kenny Clark moves in to recover the ball. 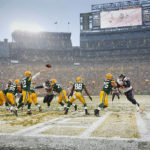 Green Bay Packers quarterback Aaron Rodgers tries to get away from the defensive pressure of New York Giants defensive end Olivier Vernon. Green Bay Packers outside linebacker Clay Matthews celebrates sacking New York Giants quarterback Eli Manning. Green Bay Packers outside linebacker Kyler Fackrell tries to stop New York Giants running back Bobby Rainey. 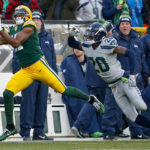 Green Bay Packers strong safety Morgan Burnett breaks up a pass intended for New York Giants wide receiver Sterling Shepard. Green Bay Packers quarterback Aaron Rodgers and New York Giants quarterback Eli Manning talk after the game.